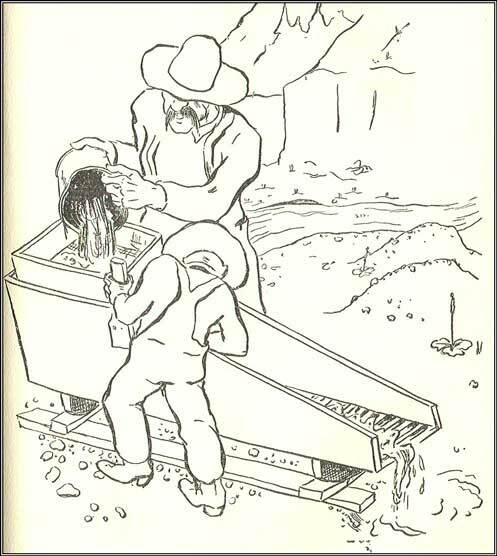 The story of how Uncle Torwal and Whitey were chawed off their Ranch by Grasshoppers and went up in the Black Hills to Sluice Gold for a spell. 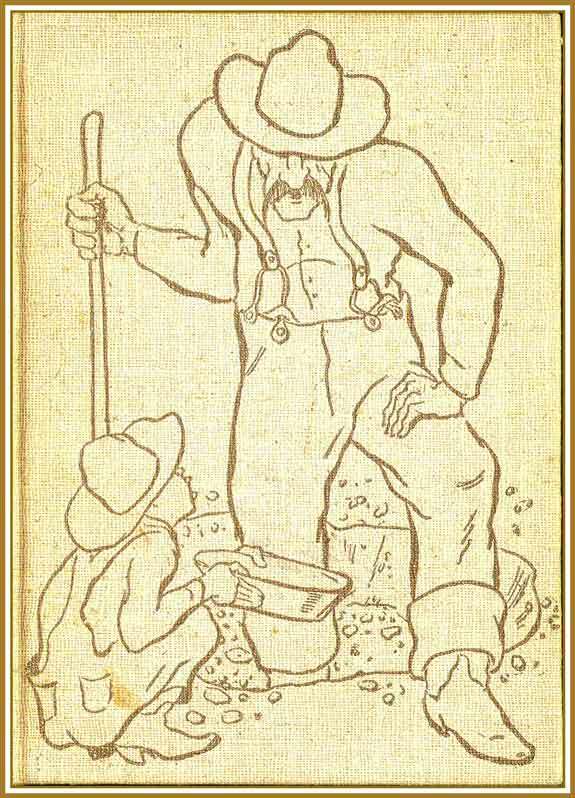 This is a drawing from inside the book. The author did all of his own drawings. 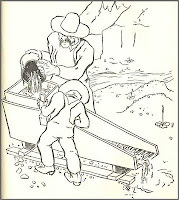 Several Dakota place names are mentioned throughout the book, and even as an adult reader, I found it difficult not to imagine myself delightfully along the same stream panning gold with Uncle Torwal and Whitey.